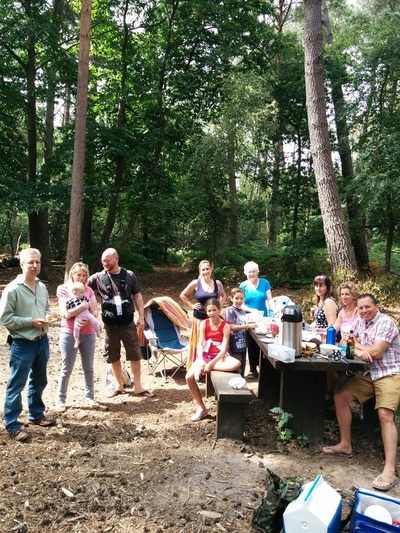 Once again our precious community woodland is under threat! 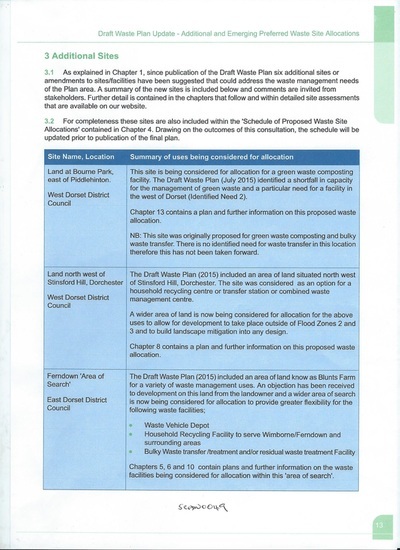 A consultation has been completed by Dorset County Council to find additional waste sites for Bournemouth, Poole and the rest of Dorset. 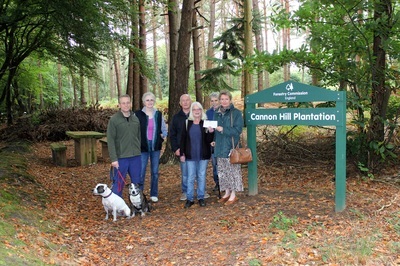 One of their preferred options is Uddens and Cannon Hill Woodlands..... The very piece of woodland we have been working so hard to save from being developed into a Gypsy & Traveler Transit Site is now at risk of being developed into a Waste Processing Plant!!! Cannon Hill South (Uddens Woods) appears to be the preferred of the Ferndown Industrial Estate & Blunts Farm options due to the low commercial value of the land ( It is still designated Green Belt). 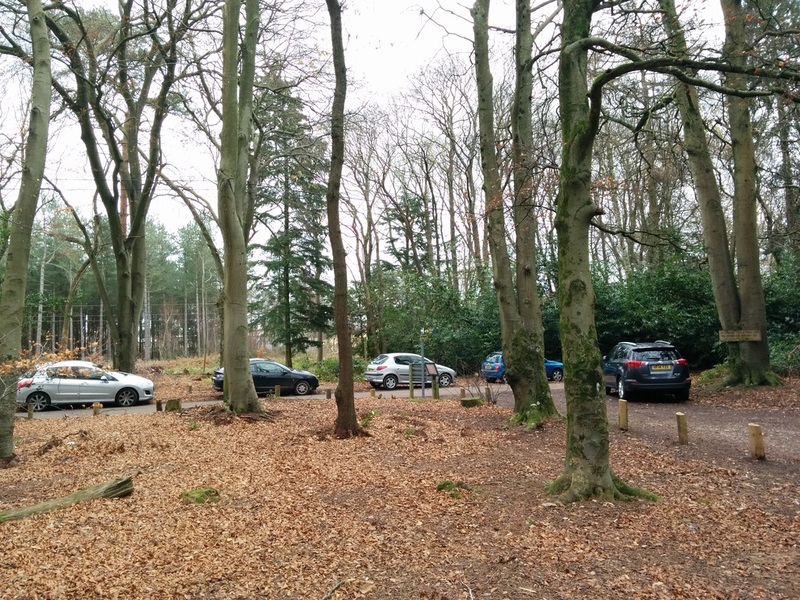 Any development on the Cannon Hill South Site, will not stop the development of the Blunts Farm Site, removing all the remaining woodland / heathland South of the A31. 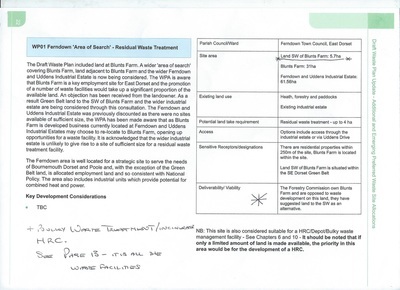 Just to make it really clear where they are proposing putting this site, the following pictures are of "Land SW of Blunts Farm"
Bulky Waste transfer /treatment and/or residual waste treatment Facility – up to 3 ha land required (This is a massive concern, as if a Bulky Waste and Residual Treatment site go in our woods, this will be a strategic site serving Poole, Bournemouth and Dorset with doubtless some form of incinerator. Critically, it will not just serve the local area and it may include commercial waste). Since the 2015 Proposals They Have Increased the Search Area to Include Cannon Hill Woodlands!! 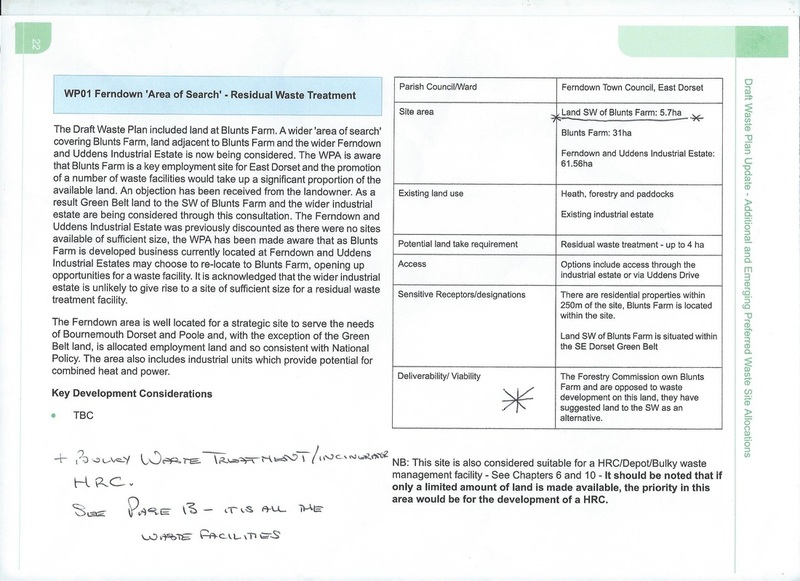 The Environmental comments from 2015 for Blunts Farm appear to have been "stretched" to now include the Cannon Hill South Green Belt Community Woodland. 1. . The use of the land to the SW of Blunts Farm for a Waste Plant is wholly unsuitable (as is it's use for a Gypsy & Traveler Transit Site). 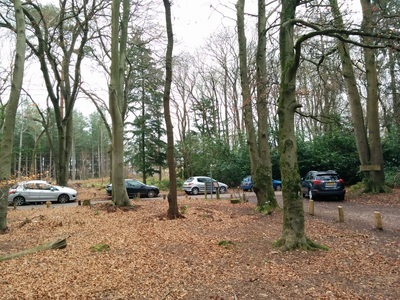 The area identified is Cannon Hill Plantation (South) also known locally as Uddens Woodland. It is a key community resource , a green space for those working on the estate, users of the Castleman Trailway, dog walkers, horse riders, bike riding, children's play, wildlife and general walking. 2. As much as we would like the Blunts Farm area to remain as pasture, we appreciate the need for the provision of B1(Office and Light Industrial), B2 (General Industrial) and B8 (Warehousing and Distribution) employment uses. As well as ancillary support services, such as cafés. We support EDDC Core Strategy for this site. The Blunts Farm site is much more appropriate for expanding the Ferndown Industrial estate to provide more job opportunities for skilled workers. 3. Any development of the Blunts Farm site for whatever purpose should incorporate a sizable buffer zone to the south west. Ideally the area from Uddens Drive to the current boundary of Blunts Farm. A heathland habitat scheme would suit this buffer zone. 4. 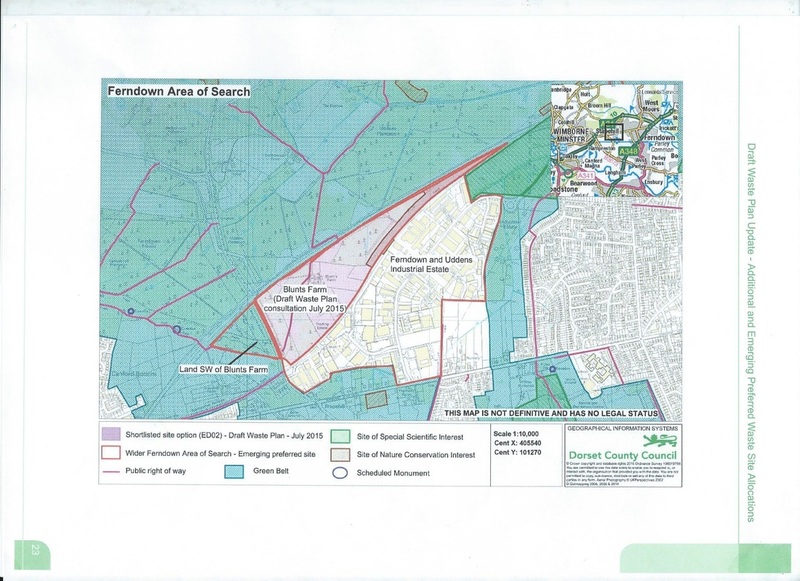 Any development of Blunts Farm should be accessed from Ferndown Industrial Estate (or possibly directly off the A31). Uddens Drive is not suitable for this purpose. We are now awaiting the result of the public consultation.